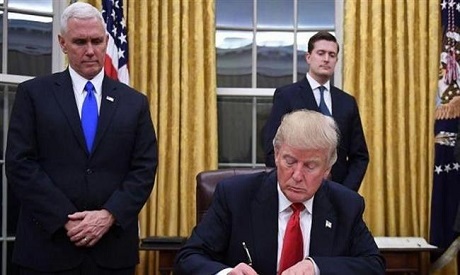 President Donald Trump on Wednesday signed an executive order to help protect US elections from foreign interference by imposing sanctions on countries and other actors who seek to meddle, US officials said. The order would direct intelligence agencies to assess whether any individuals or entities interfered in a US election, turn that information over to the Justice and Homeland Security departments, and then - based on their assessment of the validity and impact of that intelligence - trigger automatic sanctions, said US Director of National Intelligence Dan Coats. Russia denies meddling and Trump has dismissed the probe as a "witch hunt." Sanctions could include freezing assets, restricting foreign exchange transactions, limiting access to US financial institutions, and prohibiting US citizens from investing in companies involved, said White House national security adviser John Bolton.